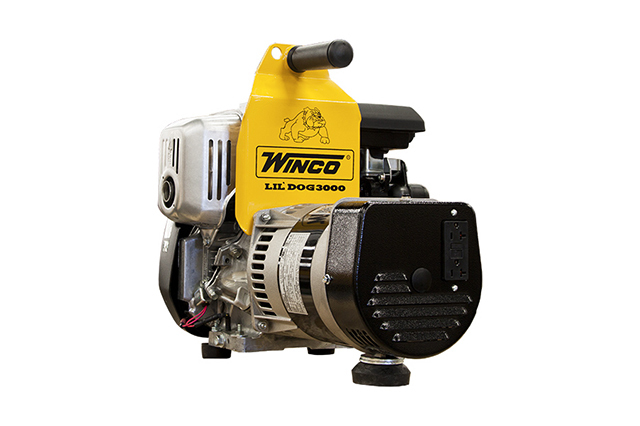 You might think that electrical generators are complicated devices. Perhaps just looking at one gives you a migraine as you try and figure out how each different piece works in unison. Well, you might be shocked to know that generators aren’t as complex as they look. When you were in school, you might have dabbled with magnets, dragging metal objects around using the force – er, the magnetic force. Well, that’s quite a good example of how even the most powerful and technologically advanced generators operate. But wait, we’re getting ahead of ourselves. Before we learn how generators work, we need to delve back into the past and discover how they came to be. Faraday created the first electromagnetic generator. In 1832, Hippolyte Pixil developed the first magnetoelectric generator. Development was stunted through the 18th century due to electricity not being available. Dynamos were developed in Europe leading to further developments including the work of Westinghouse and Siemens who began commercial generator productions. Wait, How Do They Work? Now that you know some of the history let’s look at how these devices work. We’ve already touched on this briefly examine Faraday’s creation and the magnets you might have played with at school. In its most basic form, a generator is a device that pushes a magnet towards a wire to produce a flow of electrons. This force and the action behind it can take a number of different forms, but the idea behind the movement remains. A magnetic field causes electrons in metal to move and realign. Move electrons through a metal wire as Faraday did and you create a magnetic field around it. The power is determined by the number of electrons and the pressure moving them that creates power. This is what we measure when we talk about terms like amperage, current, amps or voltage. The number of electrons flowing through the current is referred to as the amperage. This is measured as amps. Meanwhile, the pressure is measured in volts. Now you know what the different measurements that explain the power of an electrical generator are actually referring too. Building a dam, water flows through a narrow area, towards the turbine. The shaft of the turbine connects to the generator, and the water pushes it around. The copper coils rotate producing electricity which runs to homes and businesses through power lines. This isn’t the only way to produce electricity using a generator, but it was the first solution. Today a wide range of options are available including steam and even controlled nuclear reactions. 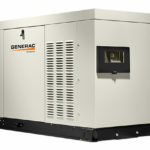 There are generators that are used for commercial and personal use. These days, you can purchase portable generators that are ideal for camping and providing power on the go. Back up generators can be used to make sure that the lights stay on when power in a home goes off. Of course, the most important backup generators are used in public buildings where a constant supply of power is essential like hospitals. Motors will require three times their noted wattage to start. You will find the wattage on the equipment’s nameplate. Calculate the running watts by multiplying the volts by the amps noted on the device. Calculate the starting watts by multiplying the running watts by 3. The final number will tell you the generator wattage you need. It’s not an exaggeration to say that generators are one of the most important inventions in the world. This piece of equipment can keep businesses profitable, provide security solutions and even save lives. When you need to purchase a generator, it can be overwhelming, particularly if you don’t know how they work. Now that you do, you should find it far easier to pick the right generator for your purposes. If you are planning to invest in a generator, contact us. We can guide you through the process, assess you and provide more details about what your best option is. 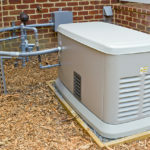 Handy Tips to Help You Make Better Use of Your Generator What’s Causing the Resurgence of Back-Up Generators?